My son is wearing the costume that he designed and made. He is wearing a praetorian guard Lego man style in Star Wars. The idea came from him and his many Lego collection that he has he wanted to think outside the box and also wanted to make a costume that represented the characters that he truly loves and Star Wars. 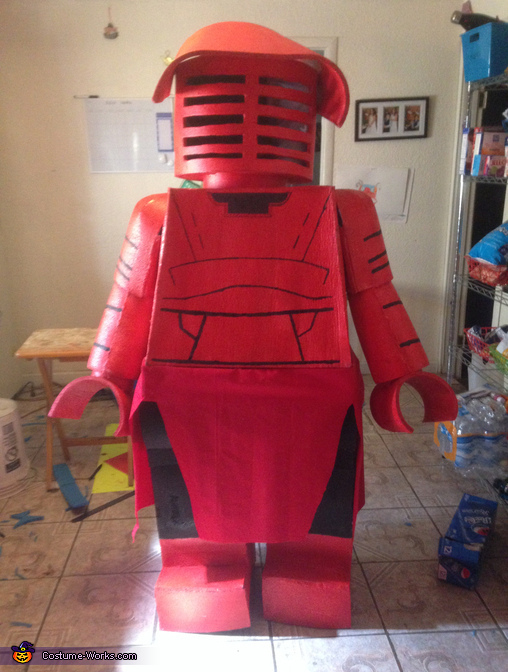 He came up with the design after seeing a tutorial online about making a Lego costume and from there he did the measurements and everything on his own and designed his own costume .